After bringing home a motorcycle, one of your first concerns is likely how you will protect it in the years to come. If you don’t have access to a garage or if the garage is already full due to clutter or your vehicle taking up most of the space. 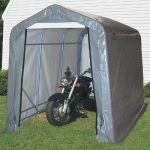 If you need a quick way to cover your motorcycle and want it to still be on display, consider the benefits of using a canopy. 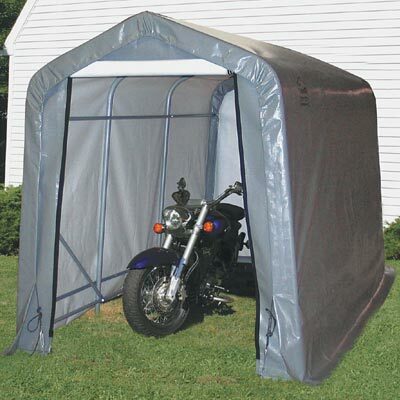 One of the most appealing reasons to get a canopy to protect your motorcycle is that a canopy is so quick to set up. This means that you can purchase a canopy and have it installed the same day, something that can’t be done for most overhead projects. If you ever put your motorcycle in storage or putting it in the garage while traveling away from, you can have an easy time taking down the canopy as well. If you’re concerned that your motorcycle will be damaged due to rain or leaves and other tree debris, it’s a good idea to have a canopy installed that can add some protection. With a thick canvas or metal top for the canopy, you can have some added protection that will go a long way towards covering the motorcycle. There are so many different styles of canopies available, allowing you have a canopy that feels very personal to you. With a new canopy installed, you can make sure that it matches with the look of the rest of your yard and landscaping so that it won’t be problematic. As you look for ways to protect your motorcycle, you’ll begin to get familiar with overhead protection from canopies.Contact usif you have any questions over sizes or the different styles available. 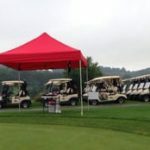 This entry was posted in canopies, canopy and tagged canopies on January 18, 2019 by Canopies Tarps. 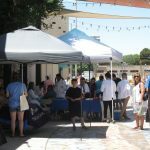 College textbooks are one of the most profitable categories for booksellers, and pop up tents can help you set up shop in places where it will be easy for your potential customers to find you. If you’re looking for new ways to make money, see if this is an idea that will work for you. Why are textbooks profitable?Students may not like it, but they’re still mostly stuck in a system that has them paying high prices for paper books that lose much of their value within months. After all, publishers market the books to professors, not to students. Plus, with their education at stake, many students are anxious to get the right book on time so they may not want to take any risks shopping around for lower prices. That can create opportunities for you when you’re buying, selling, and renting textbooks. How can a pop up tent help my business?Of course, students could sell their own textbooks so you’re really offering them the convenience of doing the work for them. That starts with making it easy for them to give you their books by setting up your tent near campuses and student housing. Amenities help too so consider offering cold water and iced tea on warm days, and coffee and hot chocolate in chillier weather. What if I already have a shop or website?You can always use a pop up tent to supplement your physical or online store. That way you can go directly to the students who haven’t discovered your business yet, and earn their trust. Once they have a positive experience selling you their books, they may return to you to buy their new ones each semester. At canopiesandtarps.com, you’ll find a vast inventory of outdoor products for all your personal and professional needs.Contact usto start shopping today. This entry was posted in pop up tents and tagged pop up tents on January 18, 2019 by Canopies Tarps. The best birthday party themes for children are usually more about using your imagination than spending a lot of money. 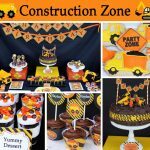 If your son or daughter is fascinated by construction projects, throw them a party where they can enjoy making and building things. All you need are some inexpensive supplies like canvas and vinyl tarps. 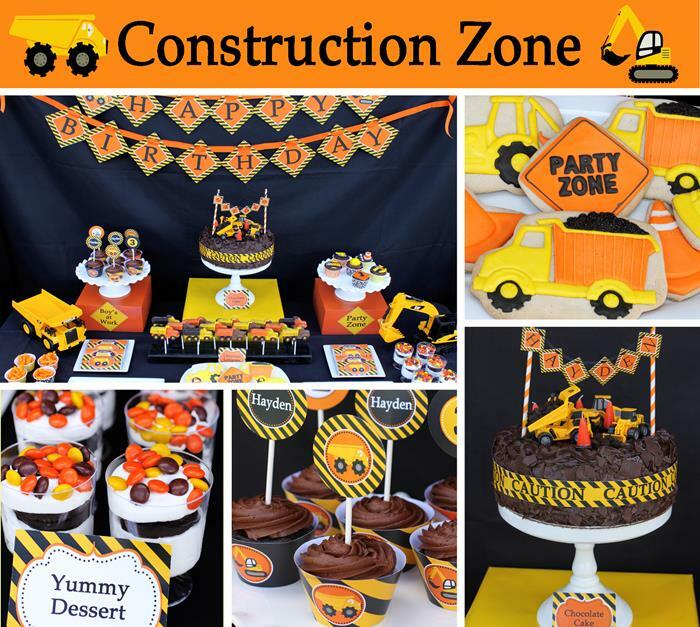 Advantages of a Construction Theme:In addition to being easy on your budget, a construction theme reinforces your child’s healthy interests. Kids who play with construction toys are also learning about engineering and math. They’re also engaging their imagination and improving their coordination. How to Use Your Tarps:Tarps can be used in many ways. You can spread them out as is for a rugged looking tablecloth or glue on images of trucks, skyscrapers, and bridges. Depending on where you have your party, tarps can also be handy floor mats for protecting against marks and stains, and helping you to clean up faster. Maybe you even want to hang up a colorful tarp as a banner for the birthday child. Other Party Ideas and Supplies:You can buy mini hard hats at a party or toy store so everyone will feel like they’re on the job. It will go great with their outfits if you include a line in the invitations asking them to wear overalls and work shirts. Plan some hands-on projects like building models or digging in the dirt. In addition to a cake with a toy truck on top, you could serve snacks in little metal lunch boxes that also serve as goodie bags. Along with your tarps, decorate the place with yellow and orange safety tape and signs. If you’re shopping for tarps for a birthday party or other projects,contact us. Canopiesandtarps.com offers great values on a huge selection of outdoor products for all kinds of business and personal needs. This entry was posted in Tarps and tagged tarps on January 18, 2019 by Canopies Tarps. If you have a brick and mortar business, you’re probably looking for ways to bring more customers through your door. 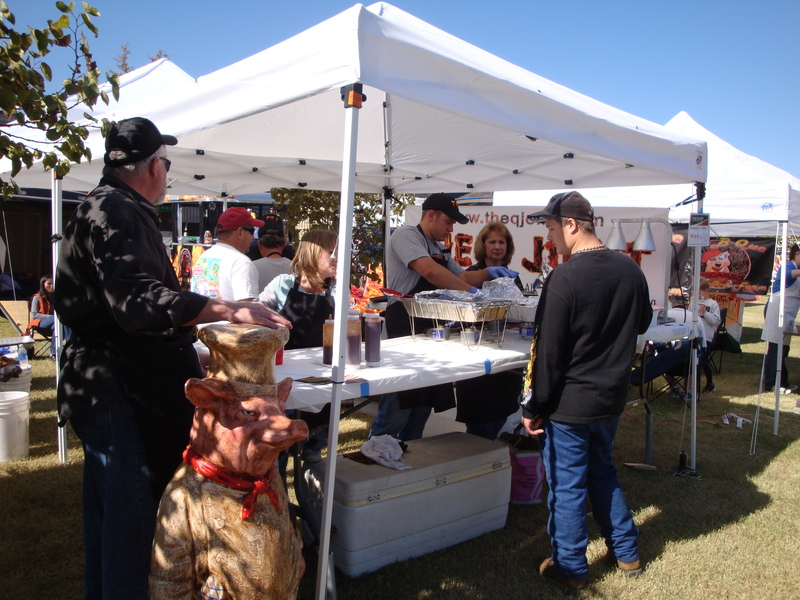 A pop up tent is an effective and affordable way to get people to stop and notice your restaurant or shop. It’s also the first step in converting them into customers. Who’s looking at your pop up tent?Pedestrians may be the first audience that comes to mind, but people driving by see your pop up tent too. In fact, it helps to evaluate your design plans from both the perspective of someone on foot and someone passing by in a car or bus. Plus, you never know when your store will wind up in someone’s Instagram shot so you always want your entrance to be photogenic. When will you use your pop up tent?Your pop up tent could be a permanent feature or you may want to bring it out for special occasions. 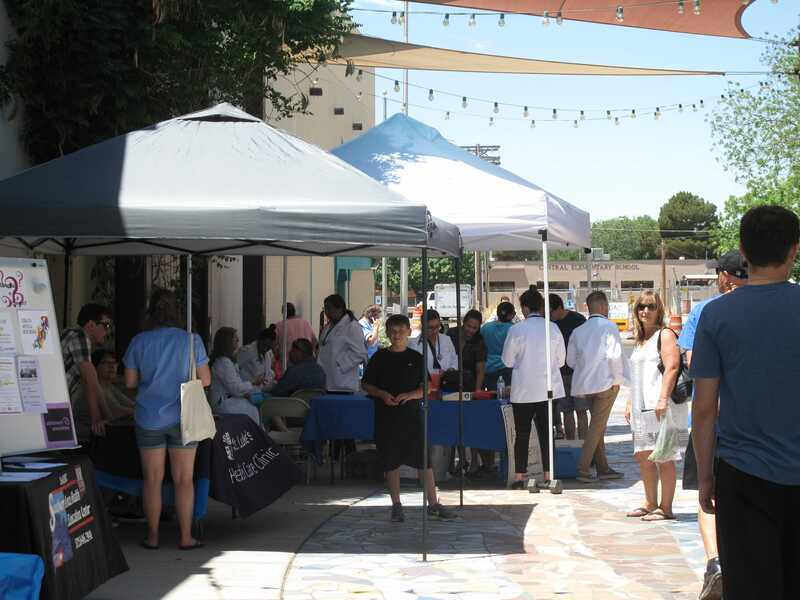 If you just moved into a new space, a pop up tent will draw in people curious for a first look and make it obvious that the space has a new face. You can also use your pop up tents for holidays and sales. You can even install a table too for providing literature or speaking to a representative of your business. What about your neighbors?Of course, you need to check local laws and regulations, especially if you’re putting anything on a public sidewalk. If it’s legal, it’s still a good idea to consult your neighbors because they’re affected by the appearance of your business too. In fact, they may even want to get their own tents. At canopiesandtarps.com we have a wide range of outdoor products for your business and personal needs.Contact ustoday to shop for pop up tents and more. Home remodeling can be a great experience, once it’s over with. However, you may be wondering what you got yourself into when you’re still in the dust and demolition stages. It’s easier to hang in there when you remind yourself that better things are ahead. Until then, here are 3 ways that inexpensive tarps can make life a little more bearable for you and your family. Protect your temporary quarters:Maybe you’re trying to keep your family clean and fed with a temporary kitchen or bathroom while the regular rooms are still being transformed. Hanging up tarps is one cost-effective way to create more privacy and keep some of the debris out. Camp out in the back yard:Sure, you could go to a hotel and order room service, but that’s going to add a lot of expenses at a time when your household budget may already be stretched out to the breaking point. Instead, maybe you can sleep under the stars in your back yard with a tarp as a tent, if the weather is suitable. As a bonus, your kids may think this is actually a lot more fun. Your dog will also approve of keeping the pack together instead of sending him off to be boarded. Save money on clean up and hauling supplies:Speaking of your household budget, one smart way to save significant money on home remodeling is to do some of the work yourself. Even if your construction skills are nothing to brag about, you can probably manage cleaning chores and picking up materials and supplies yourself instead of having them delivered. Tarps will help protect your own vehicle or a rented truck if you go this route. Canopiesandtarps.com is here to provide solutions that can help make home renovations and all your home and business projects run more smoothly.Contact ustoday to start shopping for great values on a wide range of outdoor products. 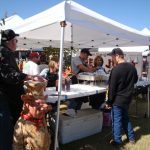 If you’re starting a small craft business or farm, odds are you’ll be participating in a lot of outdoor markets, fairs, and other events to get your name out there and start making sales. A pop-up tent is a must for these events. Some markets will even require all vendors to have them for safety and aesthetic reasons, but even if they don’t, you’ll definitely want a good one that can stand up to the elements. –Protection from the elements.You, your products, and your customers all need protection from the sun or the rain. 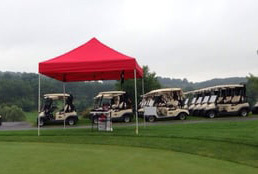 With a good pop up tent, you won’t have to skip an event because of bad weather. –Branding and signage.A tent provides multiple ways to display your brand and let customers know what you’re offering. You can hang a sign from the back tent legs, post price lists and special deals on the front ones, and use the rest of the tent frame to hang products, shopping bags, or more signage. –A professional appearance.A sturdy, clean tent helps your event display look professional and organized. Setting up a table out in the open can look sloppy; a tent with good signage and engaging displays shows that you’re a serious entrepreneur and draws in customers. What should you look for when shopping for a pop up tent for your business? The ideal tent is durable, easy to set up, portable, and should come with a few key accessories (tent stakes, shade walls). Don’t settle for the cheapest tent you find – you want a tent you love using and one that will last your business through at least a few years of heavy use. And make sure to take safety seriously – use weights and tent stakes, and take down large signs in heavy winds. When you’re ready to choose a pop up tent for your business, check out our selection atCanopiesandTarps. We’ve got pop up tents to suit your needs along with high-quality accessories for your tent.